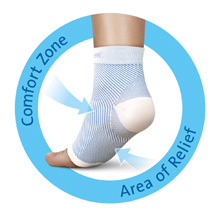 Compression Sock, Plantar Fasciitis Sleeve. 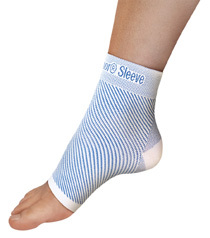 Body Armor Sleeve - heel spurs, arch pain, arch weakness, edema, etc. The new Plantar Fasciitis Sock Body Armor® Sleeve from DARCO is the perfect solution for heel spurs, heel pain and swellings. The high-quality bandage "Made in Germany" fulfils all demands for a modern compression sock with a perfect fit. The modern manufacturing method provides pleasant wearing comfort. 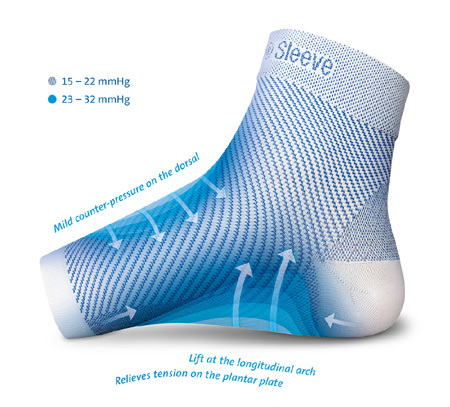 Different compression zones ensure optimal blood flow and support the physiological structure of the foot. 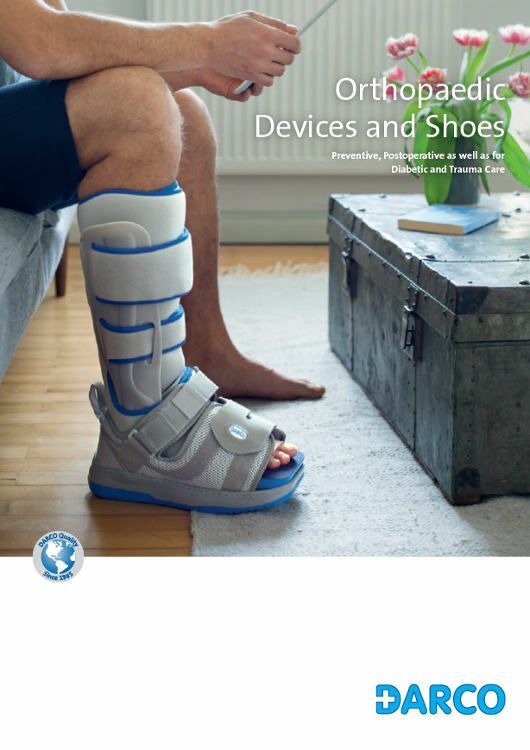 The Body Armor® Sleeve relieves the symptoms of plantar fasciitis by promoting circulation and reducing oedema and fatigue of the foot.